Natural face moisturizer is substances that will help the skin on your face to hydrate them so that your skin will always be healthy. Some people used manufacture moisturizer products that contains added chemicals that could be dangerous for your skin, especially for those who have sensitive skin. Natural face moisturizer is getting very popular since they are made from natural materials that are safe. 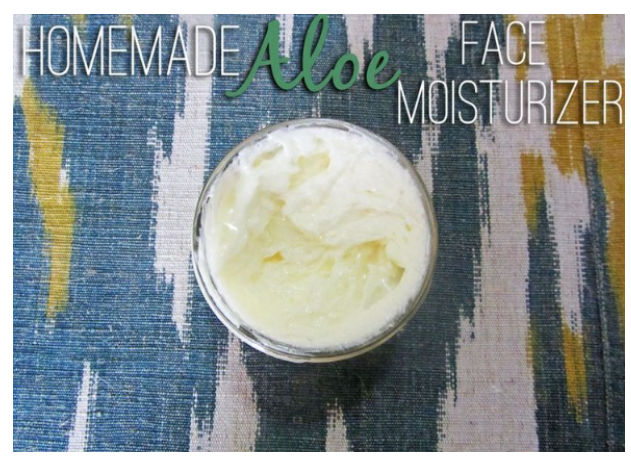 You can even make your own face moisturizer at home and use it regularly to get a fair skin. Anyone would like to have a good look from skin, faces, hair, etc. Lets Learn how to make these Natural Moisturizer. Many people think that making your own natural face moisturizer will be difficult and messy and needs a very long process. You know what? Their opinion about messy natural face moisturizer is completely false. There are also many kinds of natural face moisturizers that are very easy to make. One of the easiest natural face moisturizer is the coconut oil moisturizer. To make this face moisturizer you will need only three ingredients; coconut oil, vitamin E oil, and lavender oil. You will also need a bowl or a jar and a spoon to mix the ingredients together. You need to melt the coconut oil before mixing it with the other ingredients inside the jar. Use the spoon to whip them together. When the coconut oil solidifies you will get a simple yet perfect natural face moisturizer. Another natural face moisturizer that you can make by yourself is made from aloe vera gel, vitamin E oil, almond oil, and coconut oil. To make the second natural moisturizer is as simple as making the first moisturizer. Place the aloe vera gel along with vitamin E oil and the almond oil in a bowl or jar and mix them well. Lastly, add some slowly melted coconut oil into the bowl and mix all the ingredients together. It’s as simple as that! There are so many benefits that you can get by using natural face moisturizer. First is from the economic aspect. Manufactured face moisturizer will require you to spend more money compared to the money you need to buy the ingredients of natural face moisturizer. Moreover, you cannot be sure what contains inside the manufactured face moisturizer. If you want to be cautious and avoid the risk getting your skin inflamed, then natural face moisturizer will be the better options. Natural face moisturizer can help moisturize your skin as well as manufactured face moisturizer. Since it is made from natural ingredients, you do not need to worry if you are using them too much because the ingredients are not dangerous. On the other hand there are also some disadvantages when you are using natural face moisturizer. First, if not preserved well, the moisturizer will get bad very quickly. Some people also complain about the smell of natural face moisturizer. Since they carry the natural aroma of the ingredients that composed them their smell will mixed and sometimes the smell is less than pleasant. Some people also complain that homemade natural face moisturizeris not a good match when paired with makeup. Natural moisturizers need some times to be absorbed by the skin and sometime it will ruin your makeup.